I was interviewed by Mish Way at Hearty Magazine. A video I made is up at esquire's website. Contact adamhump@gmail.com to contract me for video work in the New York area; my reel can be viewed here. My tree planting career is being talked about in the comments of this Vice article. Please nominate me to the tree planter hall of fame. 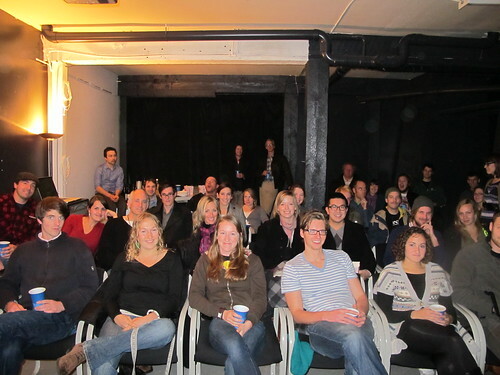 People about to watch Franz Otto Ultimate Highballer in Vancouver.